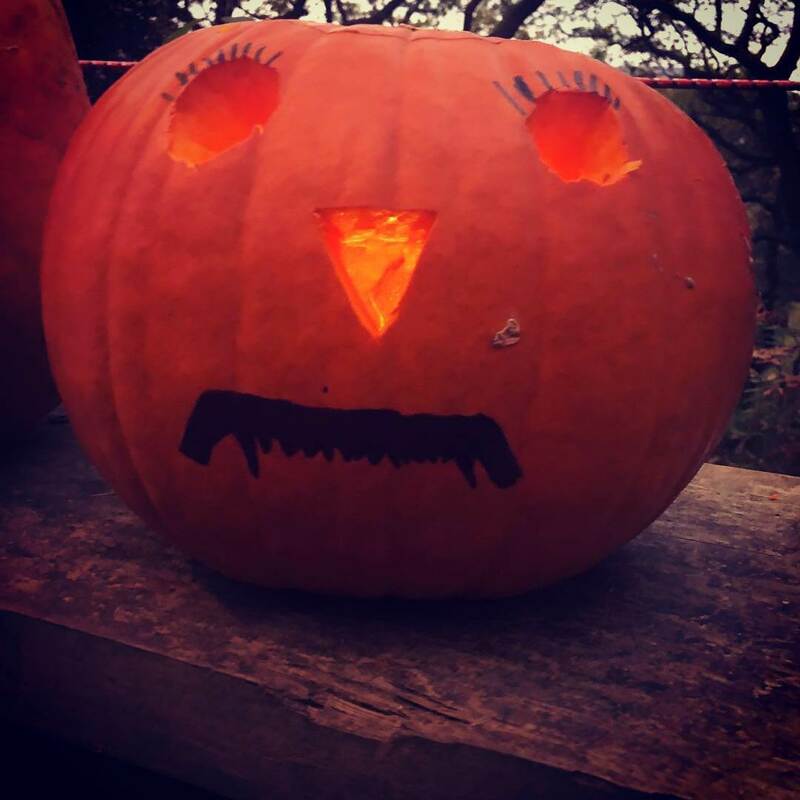 We don’t go much on trick or treating here at Graig Wen – we don’t have many close neighbours apart from the wildlife! 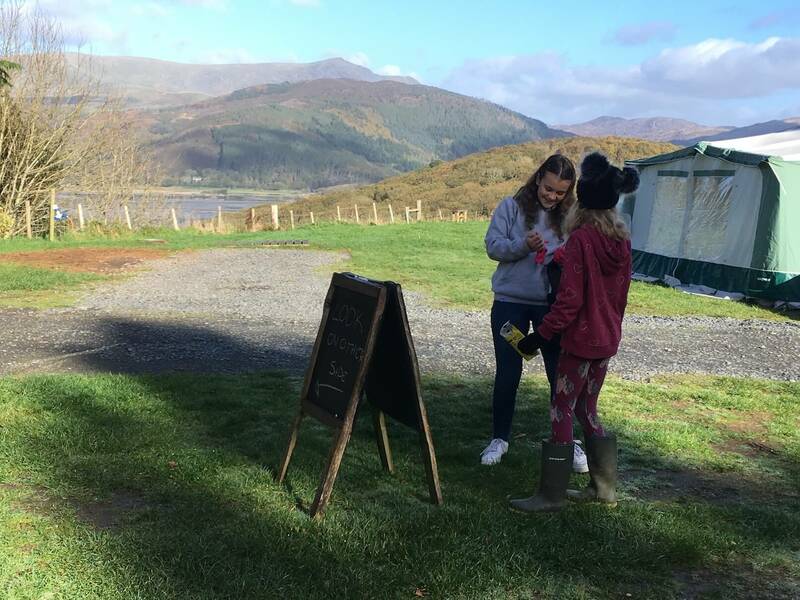 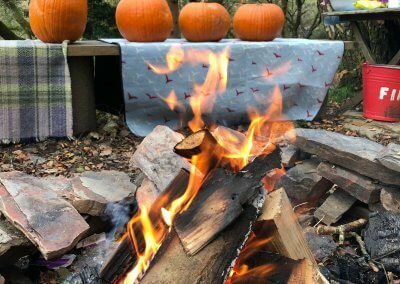 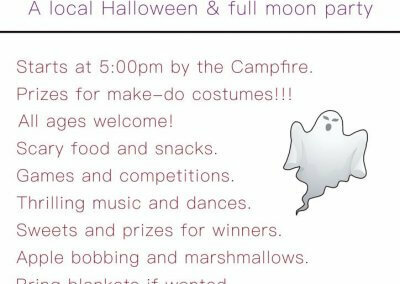 But when the kids from one of our regular camping families asked if they could organise a Halloween party for our October half term guests, we told them – go for it! 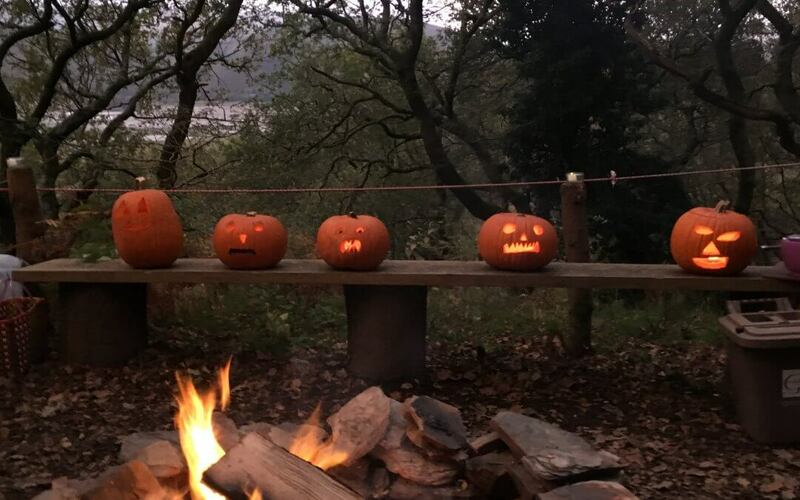 Sisters Elodie, Mireille and their mate Jeanie were party planning as soon as they tumbled out of their caravan. 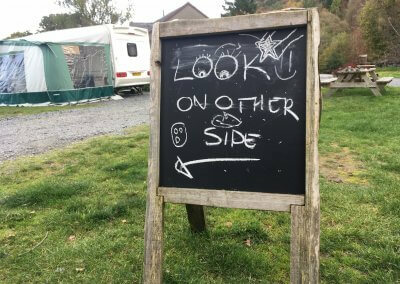 They had soon designed a poster, planned a tasting menu including mud and blood sandwiches, Monster Munch and a fruit punch with added jelly worms. 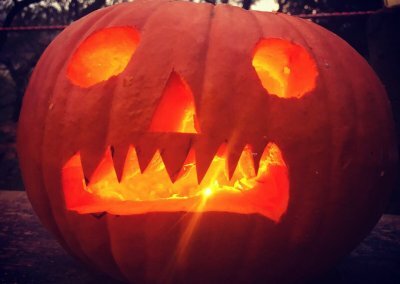 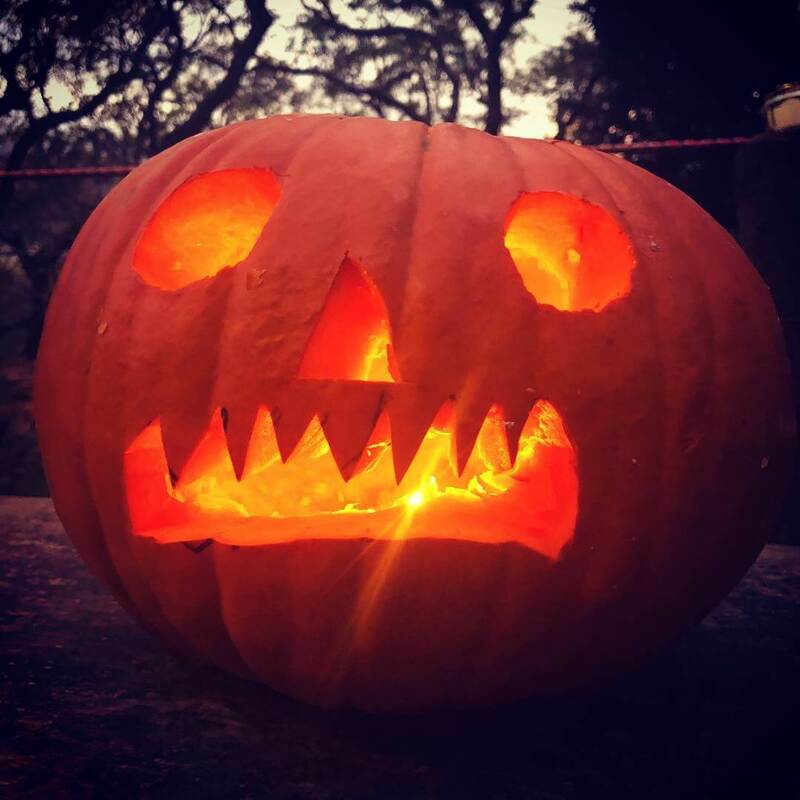 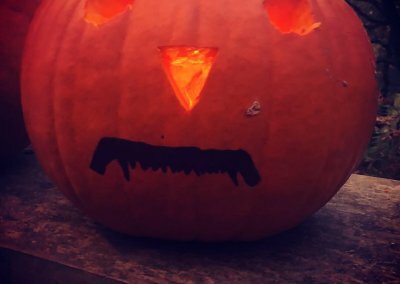 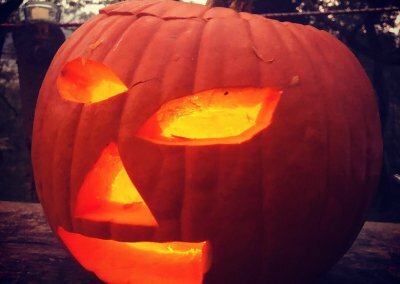 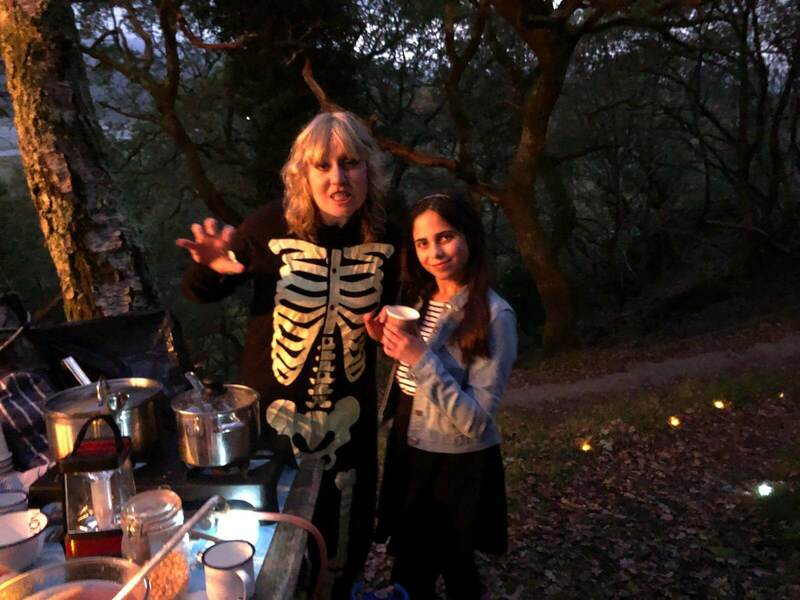 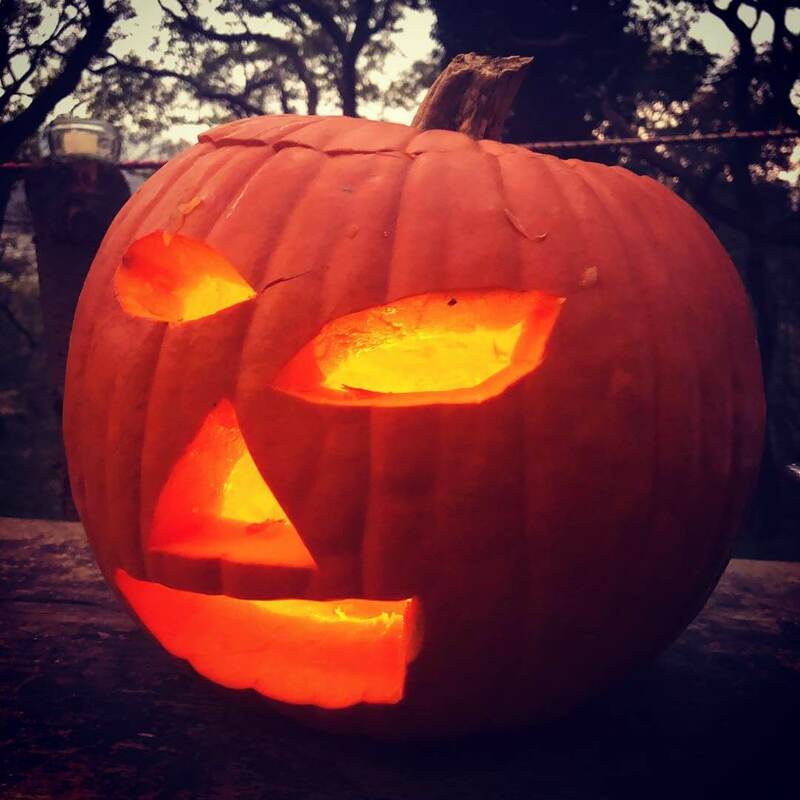 Other ideas included turning the mud kitchen into a “Blood Kitchen” for the evening, a spooky scavenger hunt at dusk, apple bobbing, gingerbread pumpkin biscuit decorating and a choreographed “Time Warp”routine. 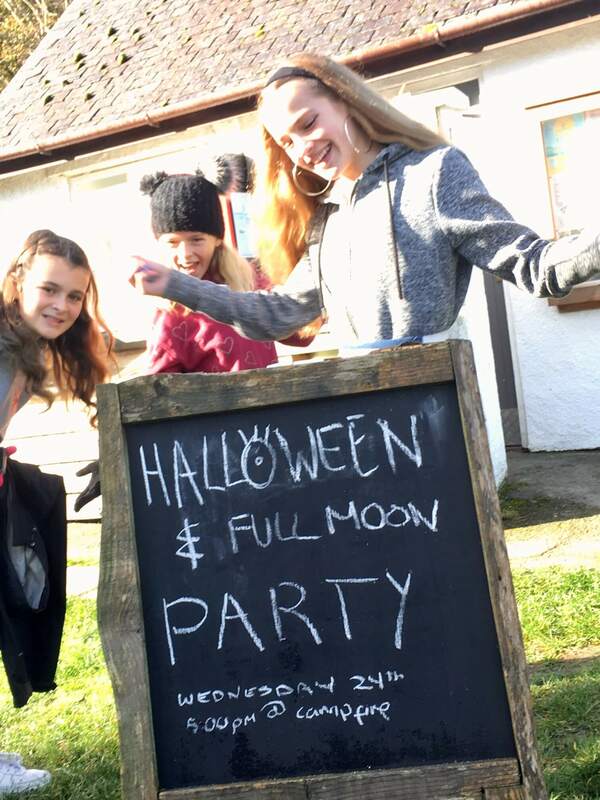 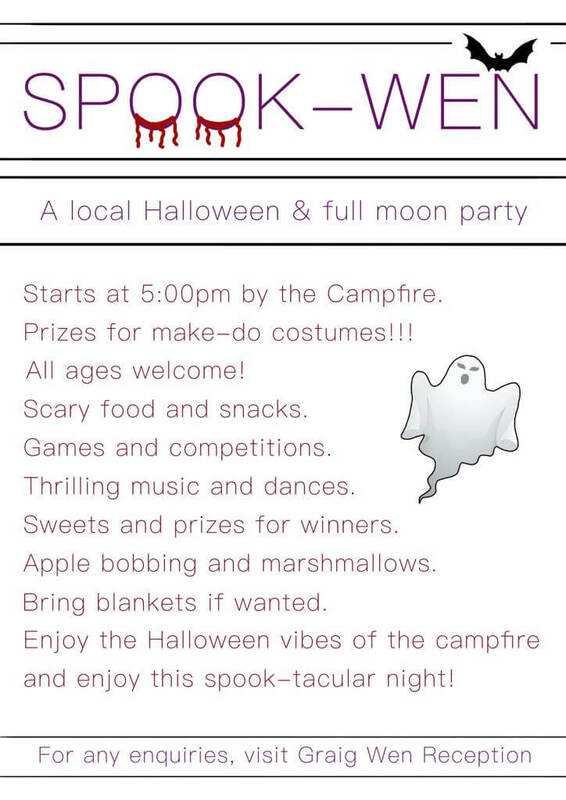 The girls soon pointed out that the party wasn’t actually going to be on Halloween, but the moon was full and skies forecast clear, so it should be a Spooky Full Moon party. 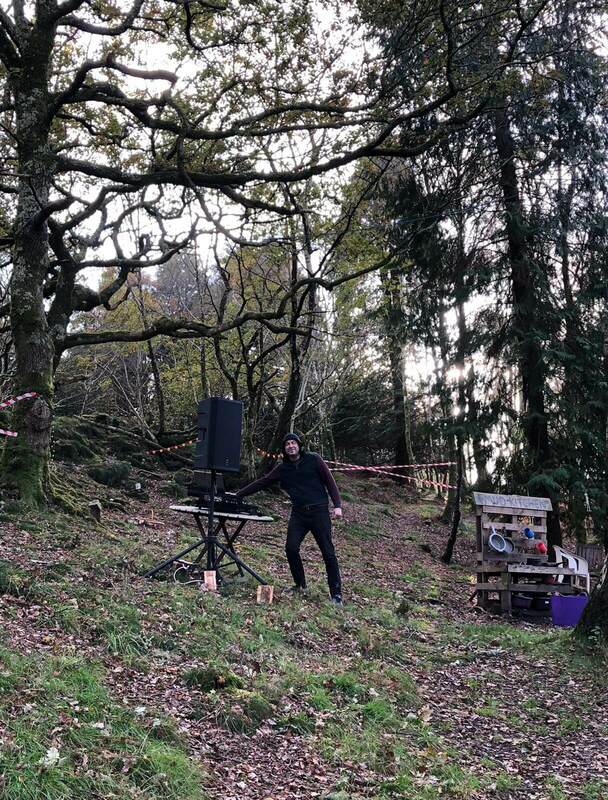 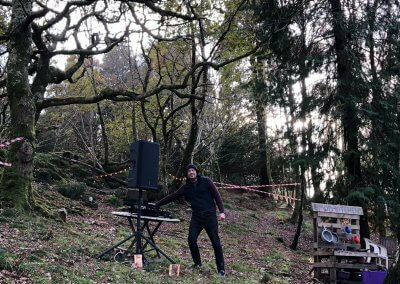 Any excuse for their Dad to set up his decks and mini sound system in the woods! 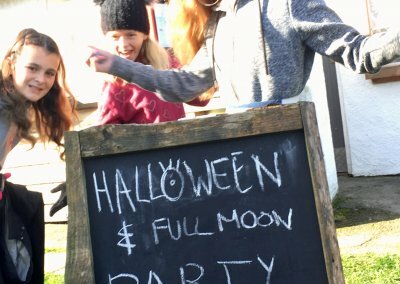 It was all quite spontaneous but the girls did a great job of party planning and all their ideas came off and were hugely popular. 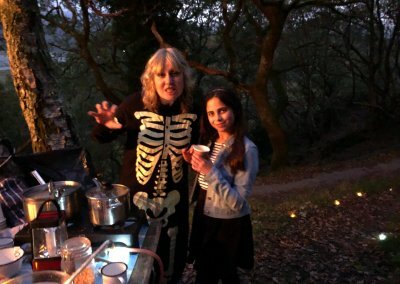 Apart from the vile looking worm punch – the mulled apple juice and spiced Snowdonia cider went down a lot better! 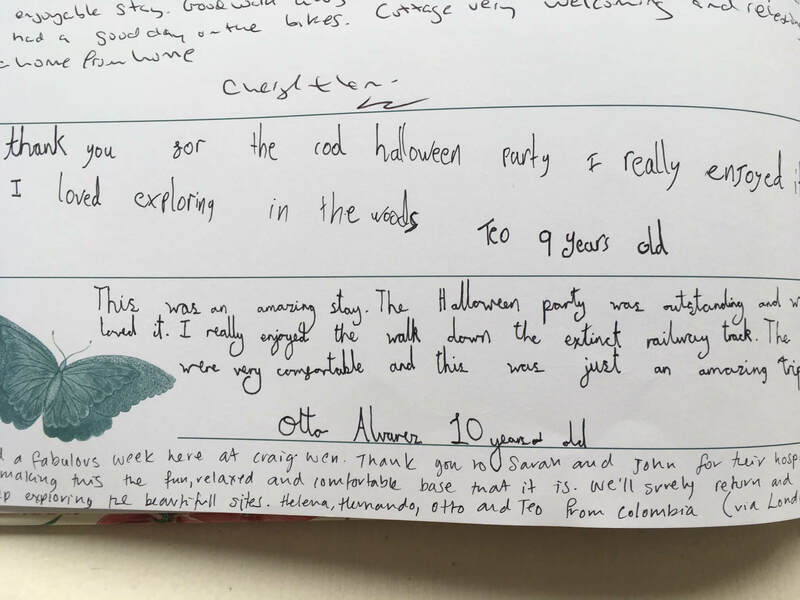 What was lovely about the evening was that guests from our holiday cottages, yurt and camp site came along and contributed something – even if it was just massive enthusiasm for apple bobbing!. 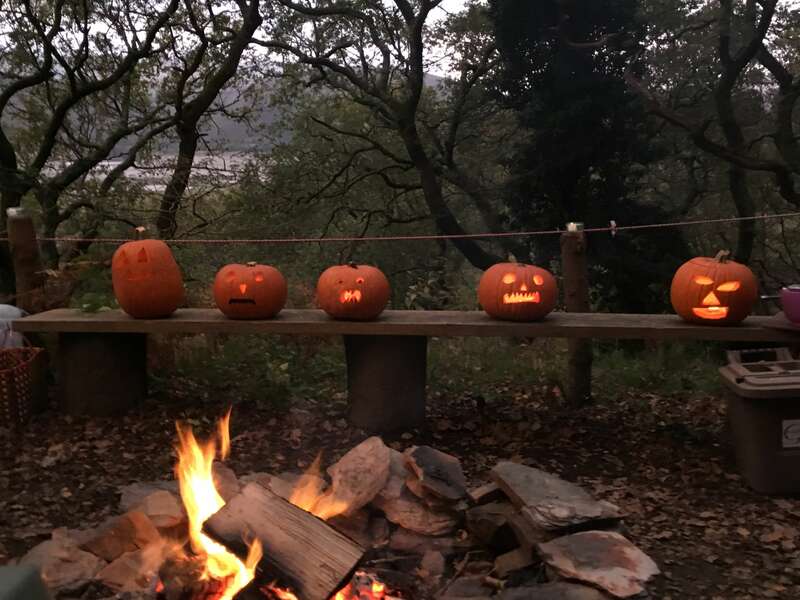 Visitors from London went off to Camlan Farm Shop, about 15 minutes drive from Graig Wen and came back with five lovely, locally grown pumpkins for people to carve around the camp fire. Regulars from Kent brought a case of their favourite beer from Dolgellau’s Cader Ales Brewery. 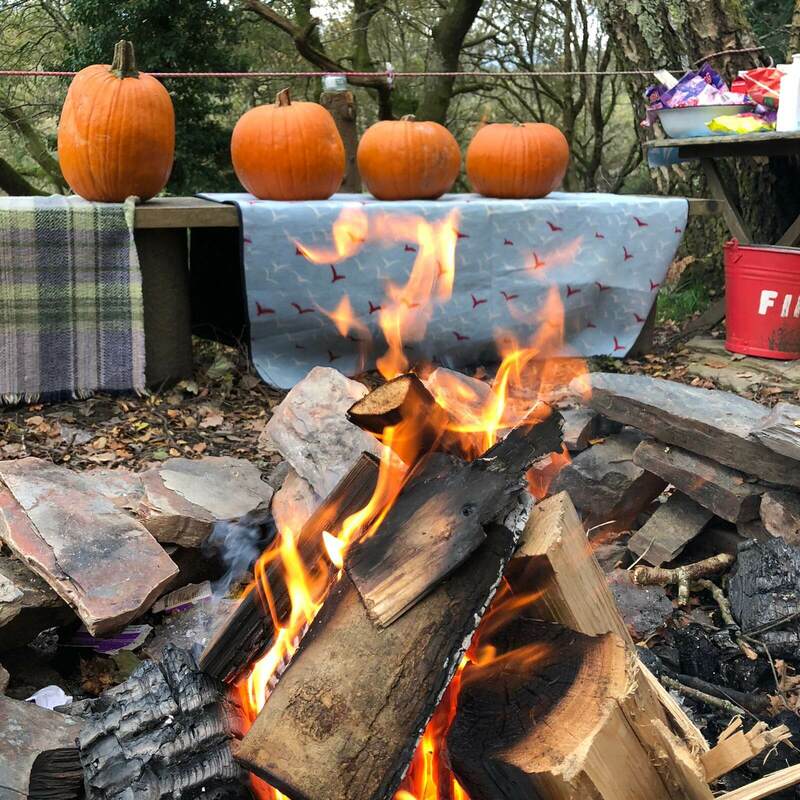 Campers brought along hot dogs to cook on the fire and firewood they had chopped from their own trees at home. 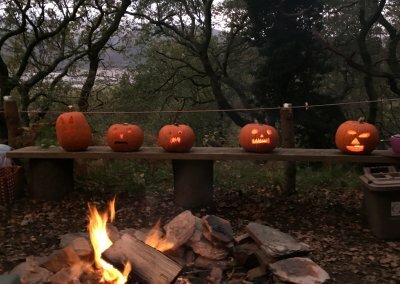 Watching a dozen kids performing a perfectly choreographed Time Warp routine in the woods sounded pretty terrifying in advance but was actually really impressive and quite hilarious. 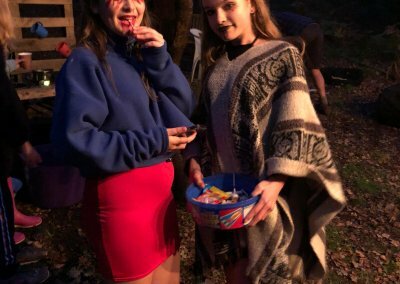 And suffice to say more than a couple of grown ups were raving in the woods adorned with glow sticks as late as we would let them…. 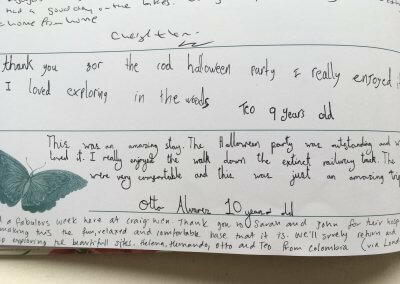 We had a lot of fun, new friends were made, and, as can be seen by the comments in our visitor’s book left by Teo (aged 9) and his brother Otto (aged 10), the Halloween party was generally considered “outstanding”! 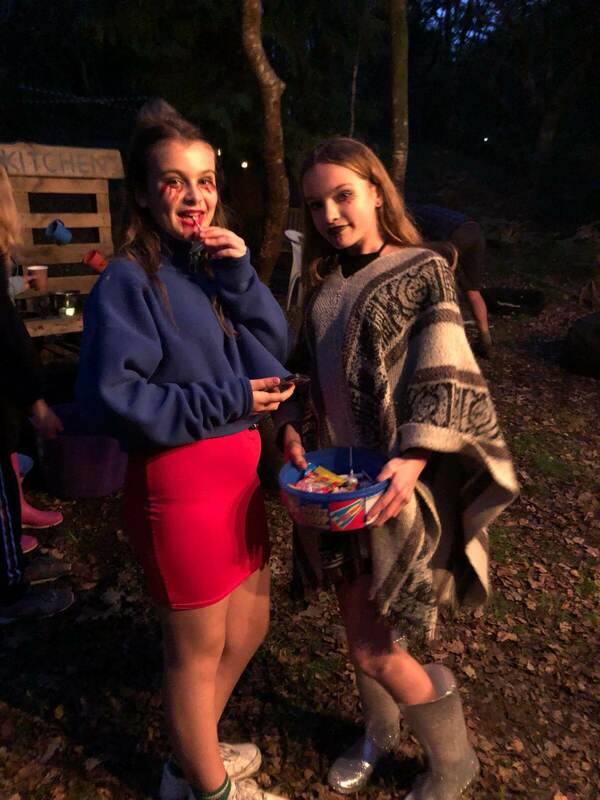 Well done, girls and thanks so much to all our guests who came along – it was lovely hanging out around the camp fire with everyone.